This attractive table combines sturdiness and safety, because it has no protruding corners and has good legroom, to help prevent knocking against it. In addition, its height enables young and old alike to do arts & crafts, read or play. Free easy DIY plans to build a Apothecary Console, featuring two doors and shelves, with apothecary style false fronts. Inspired by Pottery Barn Andover Console table, build your own with these step by step plans and save. A round table for a foyer or salon, in the Art Deco style. I have often seen these sets in various stores and was quite amazed at how expensive they can be. As a do-it-yourself project you can easily make the pub table and stools for around R600. Free woodworking plans to make a Farmhouse Table inspired by Pottery Barn Benchwright Table. Features metal stretcher and lots of details to make your table interesting and unique. Save thousands off retail the do it yourself furniture way. Fun and easy coffee table converts into a full-sized dining table. Another excerpt from the 1955 Popular Mechanics do-it-yourself encyclopedia. 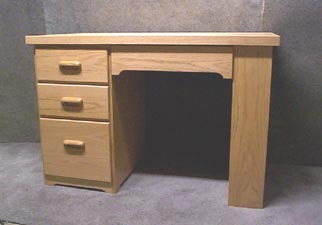 This Bow-Front Hall Table is from the March/April 2009 Fine WoodWorking Magazine. This DIY Basic will provide tips on building a laundry table.